Was Omarosa Manigault Newman Fired or did she resign? The reality TV star who, up until recently was a top-level advisor to President Trump, gave an interview on Good Morning America on Thursday 14 December 2017. What follows is a partial nonverbal and paralanguage analysis of the above video. 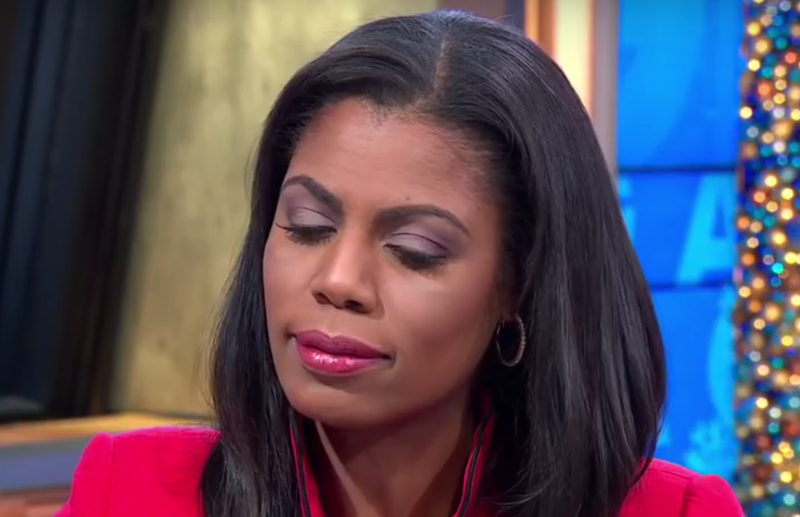 OMAROSA MANIGAULT NEWMAN: I resigned, ahum π - and I didn't do that in the residence - as been reported. John Kelly and I sat down in the situation room - which is a very secure, very quiet room in the White House - and we had a very candid conversatiant [mispronounced "conversation"] - [shaking head up and down] and I wanted to make the one-year mark ∆ - that [shaking head no] was one of the goals that I set out to § - and then get back to my life. MICHAEL STRAHAN: So you resigned. You weren't fired as, as has people reported? 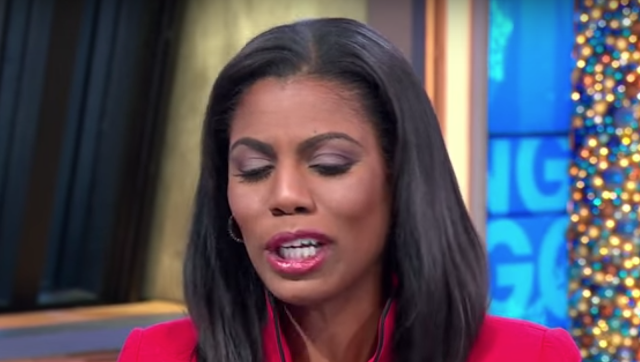 OMAROSA MANIGAULT NEWMAN: [over-talking] No - and you know I, I li-, I like to hear all of these interesting tales, but I have to tell you that - they're a hundred percent false. One of the things that I'd ask of those people who are making those assertions, since they assert that I did it so publicly - is where are the pictures or videos? If I had confronted John Kelly - who is a very formidable person Ω, ahum, it would garner enough attention for anyone in the room to at least take a picture or video or something. The assertion that I would do that in front of six hundred guests at a Christmas party and no one has reported that except for one individual who has a personal vendetta against me ∂ And so I, I have to tell you - completely false, unverified reporting - and John Kelly and I had a very straightforward discussion about concerns that I had, issues that'd I raised, and as a result, I resigned and it will be taking place January 20th when I leave this very interesting administration. At the very beginning of this exchange (2:33 - 2:36), as Omarosa says, "I resigned, ahum - and I didn't do that in the residence" - she has ZERO eye contact. Moreover, as she says, "ahum" (2:34 notated by π ), she displays very rapid blinking (involuntary). This is a nonspecific signal of increased anxiety. Note from 2:47 to 2:50, When she is saying, "... and I wanted to make the one-year mark ..." she shakes her head up and down [in a classic "yes" illustrator] - she then makes a regret expression as the right corner of her mouth contracts directly laterally (in the image immediately above during 2:50 - this is a subtle but classic microexpression notated by ∆). She then moves her head side-to-side [shaking her head "no"], as she says, "... was one of the goals ...", during 2:51 - 2:52. Why did she suddenly change from a "yes" shaking - to a "no" head shaking? This nonverbal display contradicts her verbal statement. When these two categories of behavior are in disagreement - it's the body language which always tells the truth. Please watch this segment of the video at regular speed and again at 1/2 speed as these dynamics cannot all be captured with still images. Notice also, during 2:47, Omarosa mispronounces "conversation" as "conversatiant". 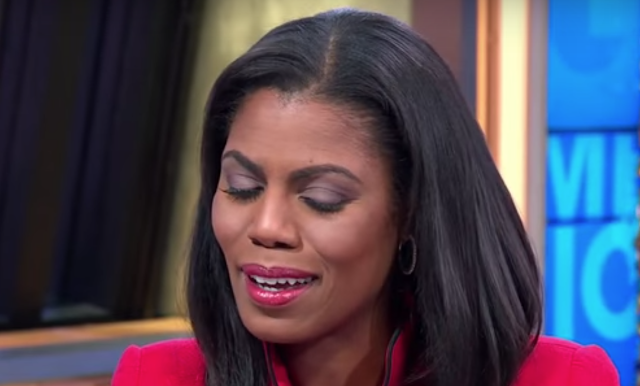 During 2:53, just after she says, "... that I set out to ...", Omarosa displays an evanescent asymmetry in her mouth (pictured immediately above). Suddenly speaking out of one side of the mouth is a sign of Insincerity and/or Bravado/Hubris (notated by § ). She displayed this particular nonverbal display multiple times (how many others did you see?). From 2:57 - 3:04, as Ms. Manigault Newman answers Mr. Strahan saying, "No - and you know I, I li-, I like to hear all of these interesting tales..." during this entire seven seconds - she has ZERO eye contact with him (with her eyes mostly closed looking down to her left). In the context of denying an allegation, lack of eye contact during this crucial juncture is highly indicative of deception. Moreover, during this same time, Omarosa's hands were gesturing rapidly, in an out-of-sync manner with respect to her verbal cadence (her hands are somewhat obscured by GMA banner). This high frequency, nonverbal-verbal disparity is indicative of anxiety and in this context is highly suggestive of deception. Just after she says, "... If I had confronted John Kelly - who is a very formidable person ...", Omarosa displays a Tight Tongue Jut (3:20 notated by Ω ). A Tight Tongue Jut conveys thought-emotions of Disdain, Disgust, and Repulsion - which are indeed Omarosa's feelings for John Kelly. During 3:37 (notated by ∂ ) just after she said, "... except for one individual who has a personal vendetta against me ...", she displays a dramatic, but very brief (ergo a "Microexpression) "Forward Lip Purse". Forward Lip Pursing is a signal of Clandestine Disagreement and/or Clandestine Plans. 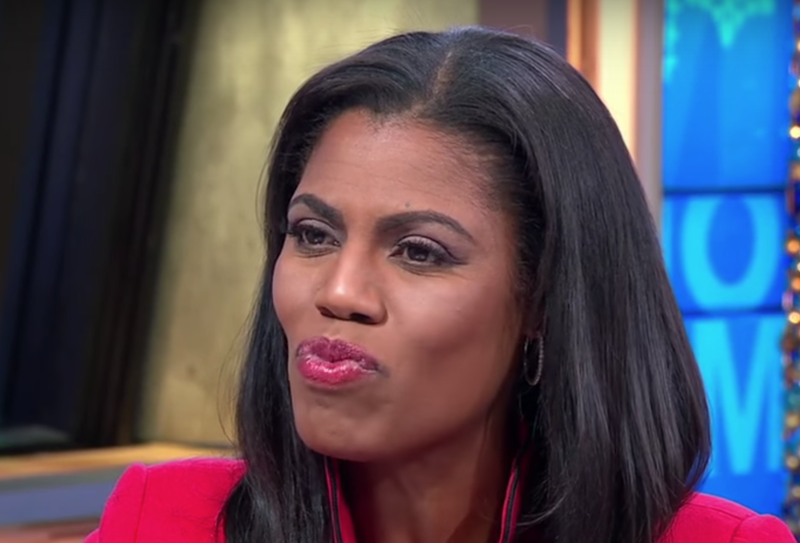 Omarosa has a vendetta of her own - and she's got a plan to implement it. She also believes that she's the relative alpha (to her perceived adversary's relative beta status) - and, in her opinion, the odds of her carrying through with her plans are high. Why did she switch tenses when she said, I resigned (past tense) and it will be taking place January 20th (future tense)? Why did she say, "... unverified reporting ...", rather than false reporting? The word "unverified" is not a descriptor she would use if she knew the reporting to be false. Why, after Michael Strahan said, "So what you're saying that all these reports are coming from one person, but you speak of " - did Ms. Manigault Newman then feel the need to correct him by restating the essentially the same thing, "One person, no - let's, let's be clear - only one person" - Why? 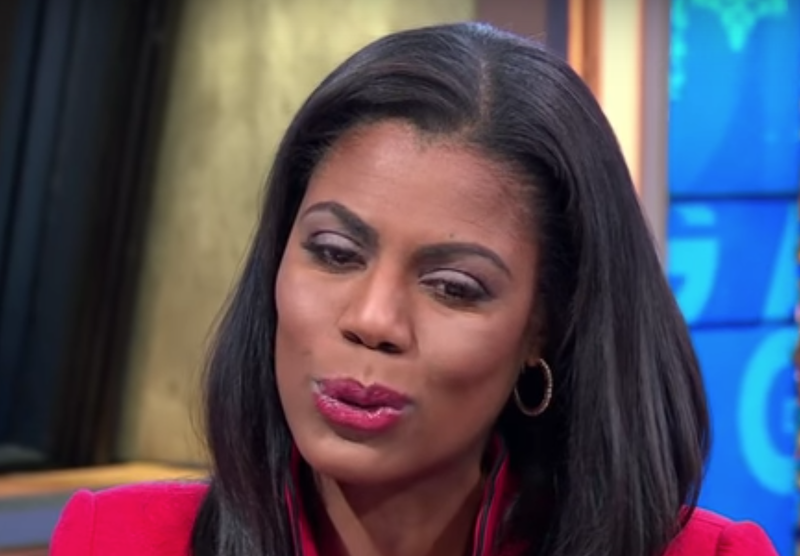 Yet earlier in the same conversation she referred to her antagonists in the plural saying, "... those people who are making those assertions, since they assert ..."
Summary: Omarosa Manigault Newman left her post at the White House involuntarily. She was fired (or told, "If you don't resign, you're going to be fired"). She has feelings of disdain, disgust, and repulsion for John Kelly. 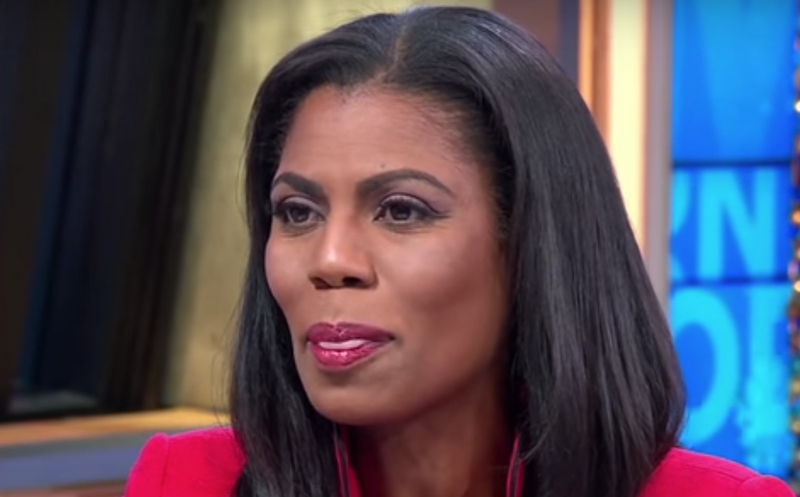 She has her own vendetta (and a plan) against a female senior staff member at the White House - and while this person may have been her most vocal critic, Omarosa's had multiple foes in the West Wing.